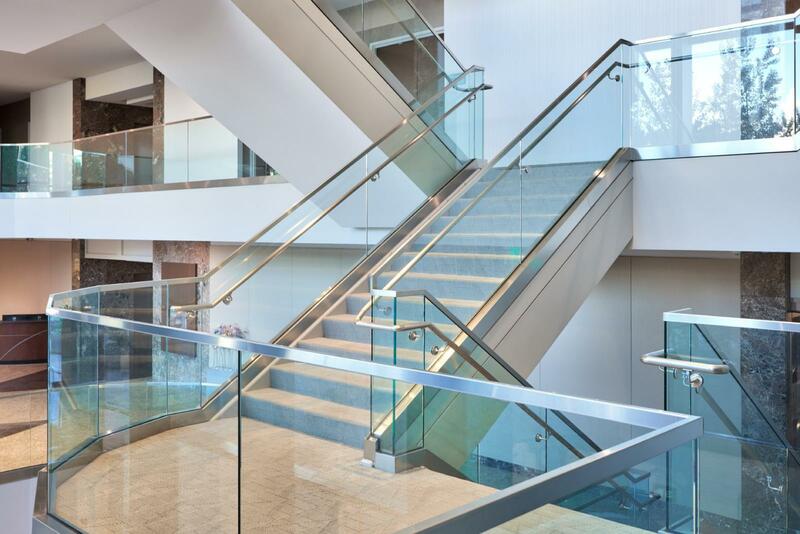 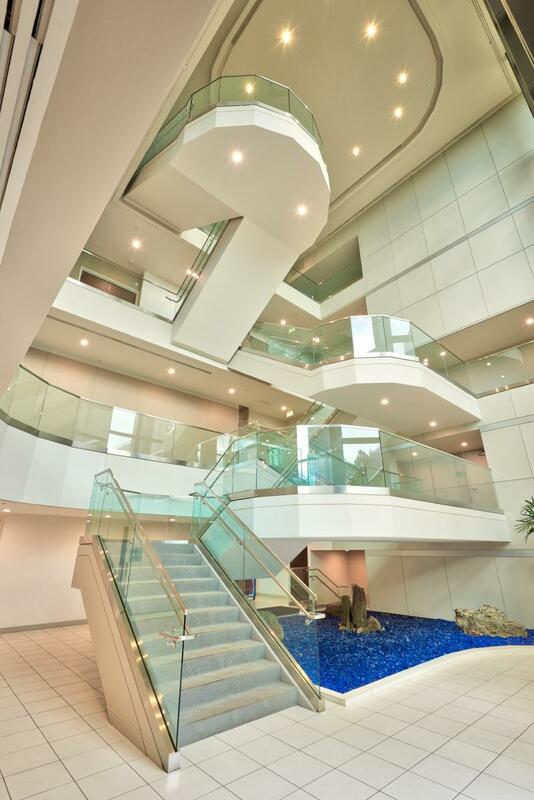 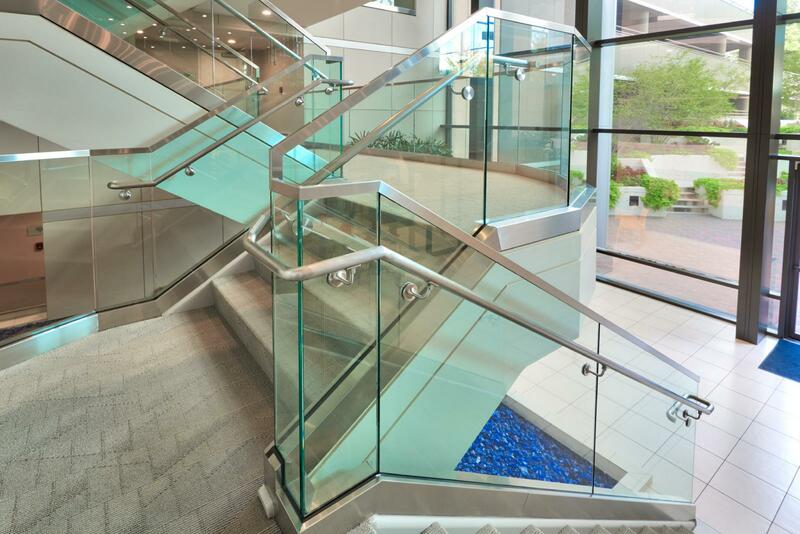 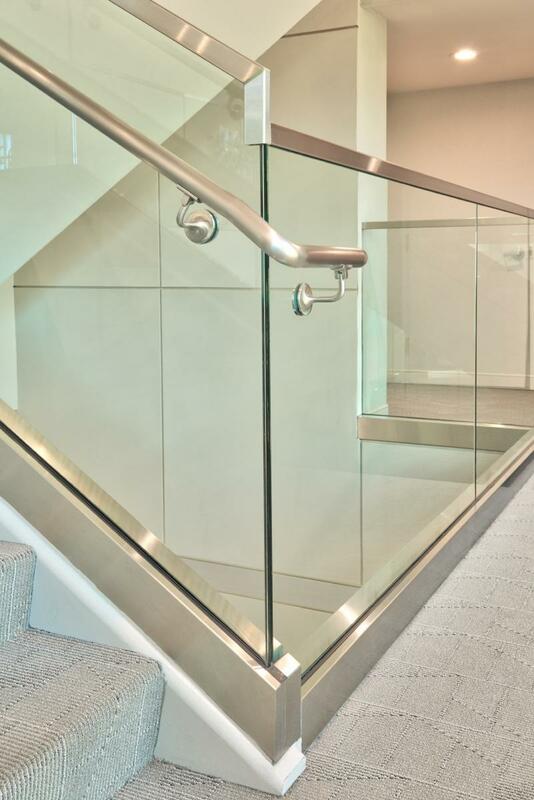 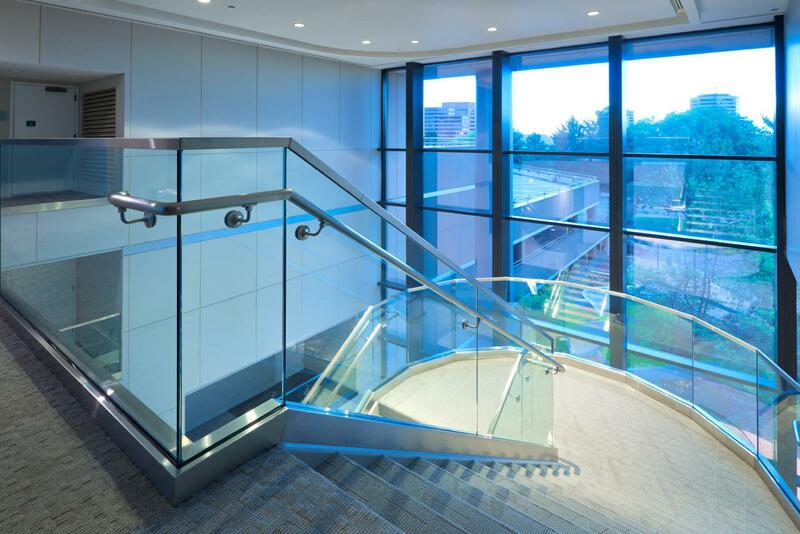 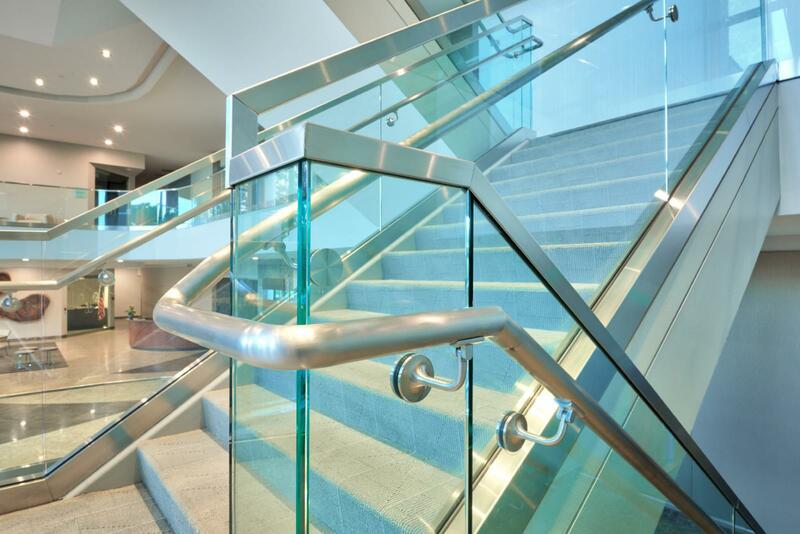 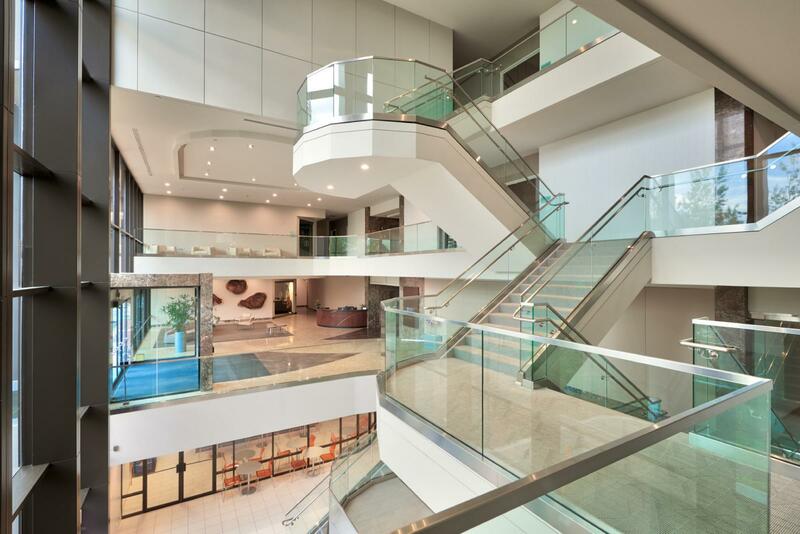 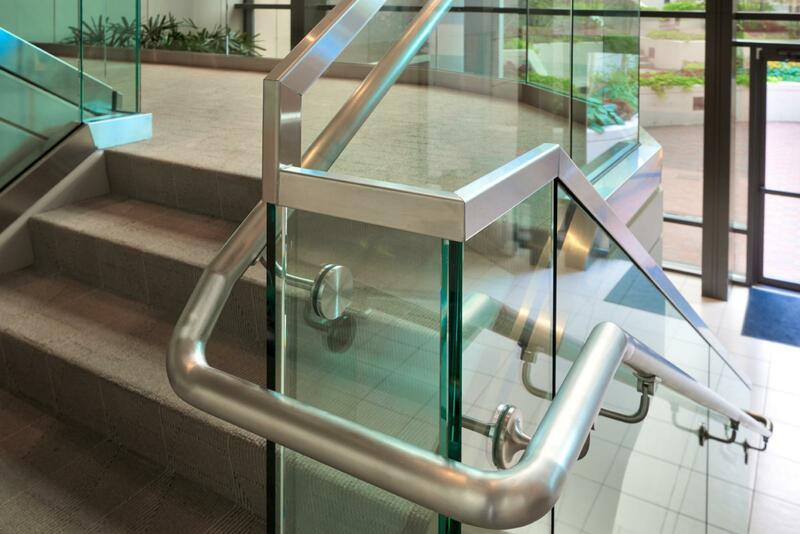 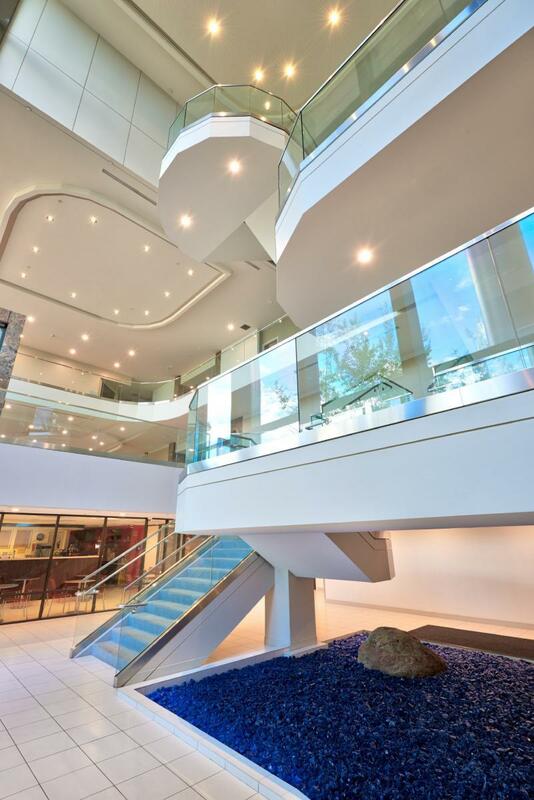 The Quadrant Building was a fun tenant improvement project that consisted of three levels of ½” thick tempered-glass guard railing, an integral handrail, and landings with faceted glass panels. 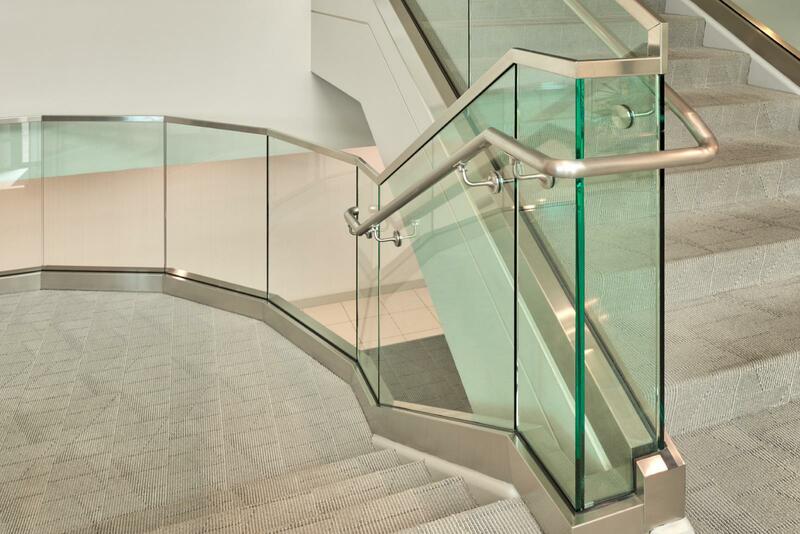 The interesting aspects of this project include the integral handrail and the faceted glass panels. 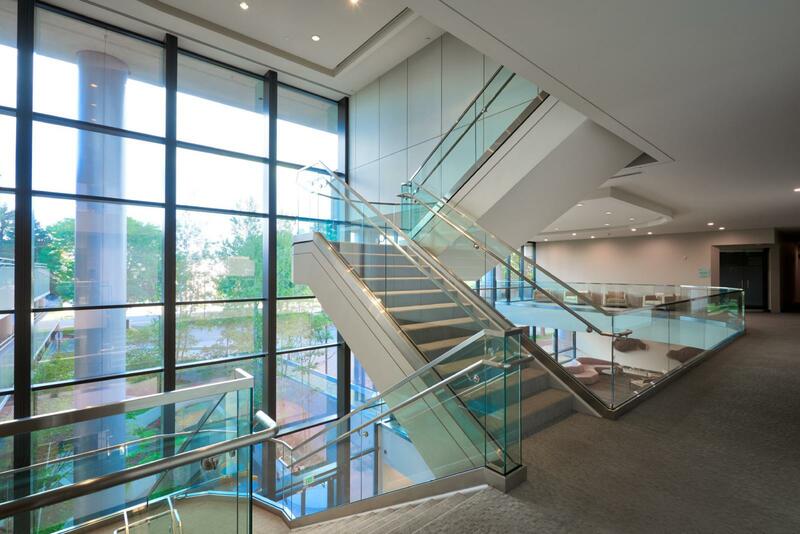 The two together presented a challenge that required tremendous experience and technical knowledge, as well as meticulous attention to detail. 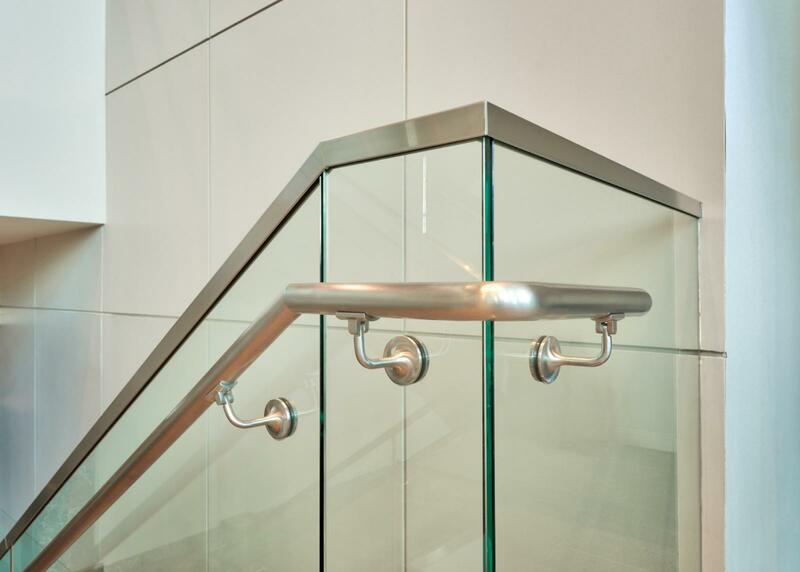 Faceted walls require exact measurements and pattern layouts to accommodate and fit the angles and bore locations for the integral handrail system and shoes. 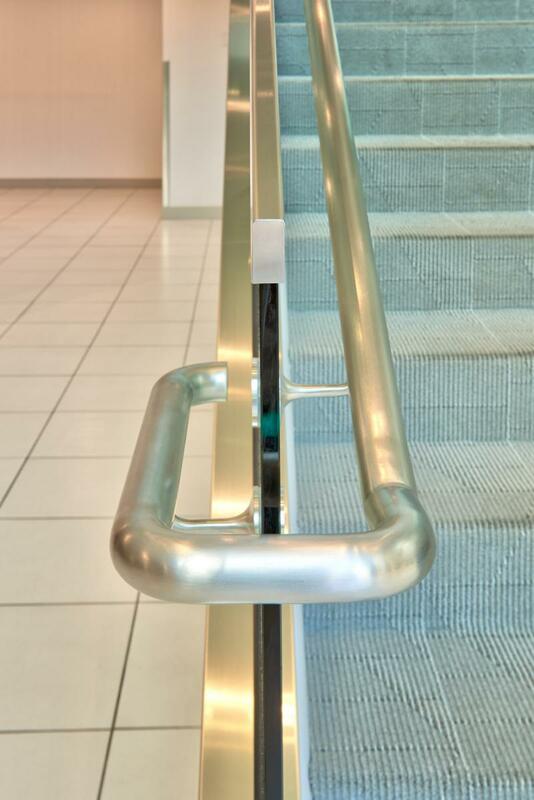 The shoes, which were clad with brushed stainless steel, required precise leveling, which can be a challenge on concrete slabs inside buildings. 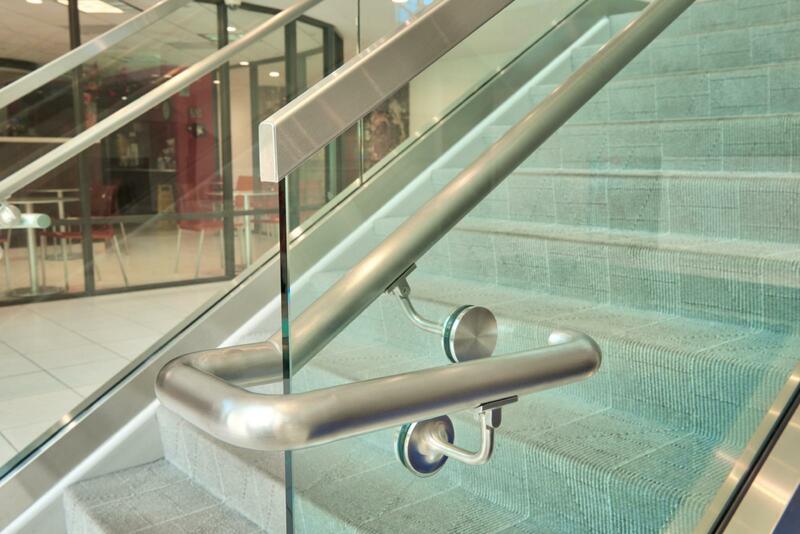 Builders' Glass coordinated with a subcontractor which provided the hand railing and its installation.